Kinsley Hall and Laniaya Lewis try to catch a throw from the outfield during District 3’s win over Laurel/Nanticoke on Thursday, July 5. The Lower Sussex Senior League Baseball All-Stars won the District III championship game 17-5 on Tuesday, July 10. After cruising through their first two opponents in the District 3 All-Star Major League Softball Tournament last week, the Lower Sussex Little League team fought tooth-and-nail against a very tough Laurel/Nanticoke squad in back-to-back contests last weekend. Both games ended in one-run victories for Lower Sussex, including Saturday night’s 2-1 win at the Pyle Center in Roxana to capture the District 3 championship. The win advances LSLL to the state tournament, with play for District 3 set to open up Thursday night, July 12, also at the Pyle Center complex. The local team was able to get on the board right out of the gates in the first inning, when Destiny Mitchell led off with a single, and then scored on a passed ball. Later in the same inning, Kinsley Hall walked and came around to score on a single by Laniaya Lewis. For the 8- to 10-year-olds’ softball team, back-to-back wins opened district play with a 12-6 decision over Nanticoke on July 8, followed by a 6-4 win over Laurel on July 9. 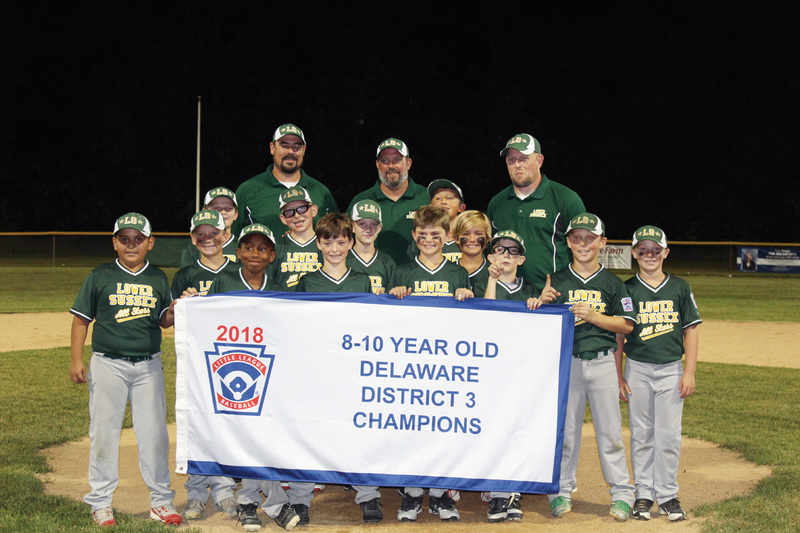 In the junior division, the Millsboro/Laurel/Nanticoke (MLN) combined team defeated Georgetown/Cape in a best-of-three series to take the crown. MLN took the first game 13-2 on July 3 before closing it out with a 16-4 thumping on July 5. Over on the baseball side of things, the LSLL Senior team had a much easier road to the District 3 championship, with a dominating 17-5 rout of Georgetown/Cape in the final on July 3. LSLL needed just three wins to bring home the trophy in this tourney. They defeated Nanticoke/Laurel in their opener on June 28, 4-3, before cruising past Georgetown/Cape 13-5 in the winners’ bracket final on July 2. 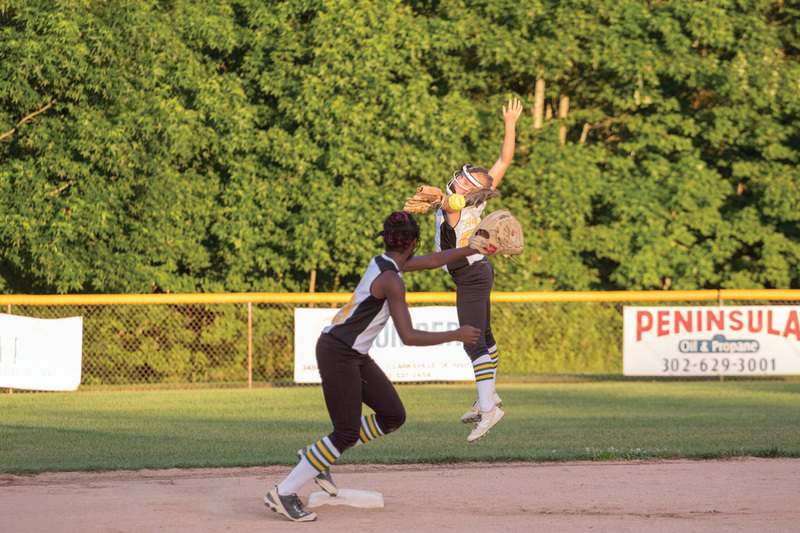 In the 8-10 division, Lower Sussex’s entry cruised to the district title with a 14-2 decision over Georgetown in the championship final on Tuesday night, July 10. The win capped a perfect run through the district bracket that also saw wins over Milton (15-0) and Lewes/Rehoboth (12-2), and over Georgetown (3-0) in a winners’ bracket contest. In the 10-12 Major division, the Lower Sussex squad needed a marathon 12-innings to take a 9-8 win over Nanticoke on Monday night, July 9. The locals were set to face Lewes/Rehoboth — 4-3 winners over Georgetown on July 10 — in the second round on Wednesday, after Coastal Point press deadline. Results for that game will be posted to the Coastal Point sports Facebook page.